Karl Kim, the executive director of the National Disaster Preparedness Training Center (NDPTC) and a professor in the UH Mānoa Department of Urban and Regional Planning in the College of Social Sciences has been named to a three-year term as chair of the National Domestic Preparedness Consortium (NDPC). In this capacity, Kim will lead the consortium in development and delivery of training and educational programs to help safeguard the nation against natural and man-made hazards and threats. “I look forward to Dr. Kim’s tenure as NDPC Chair," said Van Romero, NDPC co-founder and Vice President for Research and Economic Development at New Mexico Tech. "His international reputation in disaster management will only enhance the already strong reputation of the consortium. His academic credentials, research and leadership skills are the right mix to shepherd the consortium through difficult challenges. This is a position that impacts the safety and security of our nation, and Dr. Kim is well-equipped to handle the challenge." Established by Congress in 1998, the National Disaster Preparedness Training Center is comprised of universities and federal agencies involved with homeland security, hazard mitigation and building resilience across the nation. Consortium members include the National Disaster Preparedness Training Center at the University of Hawaiʻi at Mānoa; Center for Domestic Preparedness in Anniston, AL; Energetic Materials Research and Testing Center at New Mexico Tech; National Center for Biomedical Research and Training at Louisiana State University; Texas A&M Engineering Extension Service National Emergency Response and Rescue Training Center; National Nuclear Security Administration/CTOS-Center for Radiological/Nuclear Training; and National Center for Emergency Response for Surface Transportation in Pueblo, CO. The principal provider of training to first responders, emergency mangers and others involved in disaster response and recovery, NDPC offers training designed to prevent, prepare for, respond to and recover from high consequence events such as terrorism, weapons of mass destruction and natural disasters. Since its inception, the consortium has provided training for more than two million emergency responders throughout the nation. In 2007, NDPC was expanded to include the National Disaster Preparedness Training Center (NDPTC) at UH Mānoa. This addition brought valuable expertise in the areas of natural hazards, climate adaption, community planning, and partnerships with tribal and island communities that face special challenges related to disasters. NDPTC is focused on natural hazards, coastal communities, and the special needs and opportunities associated with islands and territories. It works to reduce disaster risks through urban planning, environmental management, and through addressing the needs of underserved at-risk populations. To date, the program has trained more than 12,000 first responders in more than 200 cities, tribal villages and rural communities across the U.S.
Kim has served on numerous national and international scientific panels and committees related to risk reduction, and has led executive training programs at the Federal Emergency Management Agency (FEMA) Emergency Management Institute (EMI) on the “Science of Disasters.” He also has worked with universities around the world to build and share curriculum on disaster risk reduction, in the belief that disaster risk reduction is best achieved through the integration of science and policy at all levels of the community. 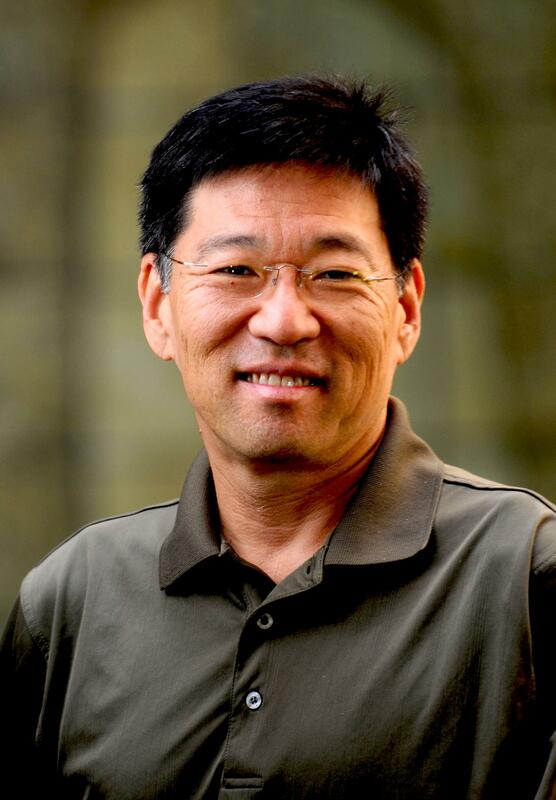 In addition to his roles at the NDPC and NDPTC, Kim is the director of the Disaster Management and Humanitarian Assistance Program at UH Mānoa. At the university, he also holds faculty appointments in the School of Architecture and the Center for Korean Studies, and previously served as Vice Chancellor for Academic Affairs. Since joining UH Mānoa in 1985, Kim has generated more than $38.8 million in federal, state and international research and training grants on transportation, traffic safety, GIS, environmental management, disaster management and humanitarian assistance. Educated at Brown University (BA, 1979) and the Massachusetts Institute of Technology (PhD, 1987), Kim has been a Fulbright Scholar to Korea and the Russian Far East. He is author of more than 90 journal articles and is the past editor of Accident Analysis and Prevention. Currently, he is authoring and editing a 10-volume series on disaster risk reduction and resilience (Routledge Press). The National Domestic Preparedness Consortium (NDPC) is a professional alliance sponsored through the U.S. Department of Homeland Security and the FEMA National Preparedness Directorate. NDPC’s mission is to enhance the preparedness of federal, state, local and tribal emergency responders and teams, including non-governmental organizations and the private sector. Its aim is to reduce the nation’s vulnerability to incidents involving weapons of mass destruction, terrorism and all-hazard high-consequence events by developing, delivering and assessing plans, training, technical assistance and exercises. The Department of Urban and Regional Planning in the College of Social Sciences at the University of Hawai‘i at Mānoa fosters a multidisciplinary set of intellectual and practical tools to improve the quality of life for present and future generations, both locally and globally, through planning, public policy and social collaboration.